Monday Reads and a Giveaway! Another full couple of weeks of reading! STARFALL by Melissa Landers is the sequel to STARFLIGHT. Melissa Landers always does these sweeping and epic sci-fi stories with tons of romance, which I love. STARFALL was pretty good, although I liked STARFLIGHT better. EVERYTHING, EVERYTHING by Nicola Yoon. Oh this book. So excellent. Great voice. Loved the little extras in the book... I don't know what else to call them but if you've read it you'll know what I mean. And the romance. I know some felt gypped by the ending- or that the author took the easy way out- but I didn't. Really, it could either go one way or the other and I for one liked the end the author chose. I can't wait to see the movie! 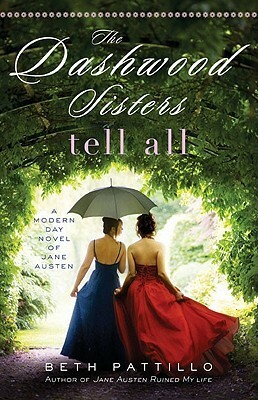 THE DASHWOOD SISTERS TELL ALL by Beth Patillo. This was a third book in a sort of trilogy. Not the kind that you have to read in order, but I did. I liked this one a lot better than book 2, and I think maybe better than book 1, although it's hard to remember. There's always a hint of mystery in these books, and of course, some romance. The author tends to take endings that I don't enjoy, but this one was not disappointing. WHAT IS HIDDEN? by Lauren Skidmore. This book started out rough for me. I wasn't that into it, and the writing felt a bit amateurish. However, the premise was good so I gave it a chance, and I'm glad I did. The twist on Cinderella really was different than anything I'd read before, and I liked the world the author built. I was disappointed to find out it's the start of a series, so things didn't get wrapped up neatly. Not sure if I'll pick up the next book but the romance was definitely enjoyable and at times it had some really excellent dialogue. BY YOUR SIDE by Kasie West. Speaking of dialogue, Kasie West is a queen! This is the second book I've read by this author and as soon as I was done, I went to my local bookstore and bought two more by her. That's how certain I am that I will love everything she writes. Her YA contemporary is perfect. It's everything I want it to be. I liked how this story delved into some deep issues without going really dark. I don't mind a dark book, but this book shows you can talk about serious stuff while still keeping things on the lighter side. I LOVED it. THE ALCHEMISTS by Craig DiLouie. I went to an author evening where a bunch of authors did readings, Craig DiLouie being one of them. Out of all of them, his reading inspired me to buy the book. This book ended up being hit or miss with me. The dialogue was excellent, and often very funny, which was the best part. The miss was that oftentimes it felt like a history lesson. I love historicals but there were so many parts where the author told the backstory of some war or some king, and in a way where it was like, okay, settle in, it's time for backstory right now. With all of that, the love story thread in the book ended up feeling rushed, and therefore not all that believable. So three stars, because I liked it, but didn't love it. Speaking of books, 5 copies of SWAY are up for grabs on Goodreads in honor of 200 years of Jane Austen! Enter to win! Giveaway ends April 13, 2017.